Emergency Dentists USA is the perfect source for choosing a new Brownsville emergency dentist. Whether you are suffering from a painful toothache or have a tooth that is chipped or broken, emergency dentists are standing by to get your teeth repaired quickly and as painlessly as possible. Our comprehensive listing of emergency dental clinics in the Brownsville area makes it simple to select a dentist without the hassle of calling several offices searching for office hours that suit your needs. Or use our 24-hour dental emergency hotline to speak with a live operator who is standing by to help you to choose a great emergency dentist and set up that first appointment. I called their number and was able to get connected to a local dentist near me in Brownsville! We make sure that you have access to some of the top emergency dentists while you visit the city or when you make Brownsville your new home. After hour dentists are available in Brownsville. You can choose an appointment at Rodeo Dental & Orthodontics even on a Saturday when you need dental help immediately. Clinics that specialize in being open 24 hours a day are not available in Brownsville. The area does provide access to hospital emergency rooms that are open seven days a week and 24-hours a day for dental and medical care when you need it most. Emergency Dentists USA makes it easy to select a great emergency dentist without the worry of choosing the right dentist. Simply scroll through our carefully chosen Brownsville emergency dentists listed below, and select the dentist with office hours that suit your needs. Description: We know that when you are in a pinch with extreme pain, it can seem utterly miserable. When this happens to you, just place a quick call to our hotline, and relief will soon be on the way. Description: Whether you are suffering from a terrible toothache or simply searching for a new dentist, Rodeo Dental & Orthodontics is an excellent choice. Patient satisfaction is the number one priority at Rodeo Dental & Orthodontics, and the office shares state-of-the-art technology, a fun and exciting child play area, and a concierge service for anyone who requires special assistance during the visit. With 12 dentists on staff and three locations in Brownsville alone, Rodeo Dental & Orthodontics is always ready to meet those dental needs. Description: Dr. Elizabeth Botello believes that dentistry is an art as well as a science. The friendly and helpful staff at All Valley Smiles is standing by even on Saturdays, to ensure that your dental emergency is handled quickly and as painlessly as possible. Offering services like inhalation sedation, crowns, fillings, and implants, All Valley Smiles is a full-service dental office with office hours designed to suit your schedule. Description: Lower Valley Dental has a variety of locations that are designed to make it simple to get those dental appointments completed without taking up your entire week. Open early on Monday through Friday, this friendly and state-of-the-art dental clinic provides treatments that include pediatric care, fillings, and digital x-rays and emergency services when you need them most. With three dentists on staff, Lower Valley Dental makes it easy to schedule an appointment and be seen as soon as possible. Description: Dr. Tara R. Rios invites you to have your smile refreshed and your dental problems resolved in one of two gorgeous dental offices in the Brownsville area. From teeth whitening to porcelain crowns, Tara Rios Dental makes it simple to have your dental emergency treated in a friendly and convenient dental office. With two dentists on staff and office hours that extend to 6 p.m. from Monday through Thursday, this dental office is ready to serve your needs exactly when you need them most. – Most emergency dental clinic visits are similar to regular office visits. A Brownsville emergency dentist performs routine examinations along with more comprehensive emergency services like full mouth reconstructions. – Have your paperwork, health records, and insurance information ready. Bring this paperwork with you to visit your emergency dentist so that he or she can plan your dental procedures. – Arrive 15 minutes early to facilitate filling out paperwork. This also ensures that you have plenty of time to ask questions if you have them. – Let your dentist know if you plan to pay with cash, a check, a credit card, or if you require a payment plan. Many dental offices offer low-interest payment plans for larger dental services. – Make sure you know if your insurance is accepted at this dentist. Choosing an emergency dentist who is in your dental insurance network can save you money when it comes time to pay that dental bill. – Bring a current list of your medications with you to the dental visit. Let your new Brownsville emergency dentist know if you are allergic to any medications. Common dental emergencies include broken or chipped teeth along with teeth that are knocked out or partially knocked out. You might have a painful abscess or a crown that has become loose or even has fallen out. A dental emergency might include a wire or a bracket that is broken on your braces, or even a small piece of food or debris that is caught between your teeth and becomes painful. 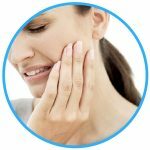 Since every dental situation is unique, you should see a Brownsville emergency dentist for any of the situations below. A loose or lost crown is a dental emergency that can become quite painful if left unaddressed. If the crown has fallen off of the tooth, rinse it carefully with water and fill the crown with over-the-counter dental cement or toothpaste. Place the crown back over the tooth if possible. Sometimes chewing foods that are sticky can cause a crown to loosen. 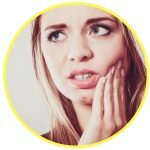 If this occurs, or if the crown falls off of the tooth completely, it is important to visit your emergency dentist as soon as possible to repair the crown. An emergency toothache is one of the most common of all dental emergencies. Toothaches can be so painful that you might be tempted to head to the emergency room. First, rinse your mouth with water and floss the area gently to loosen any debris. Do not place aspirin or any other type of painkiller between the tooth and the cheek as this can cause chemical burns to the soft tissues of the mouth. Use a cold compress against the outside of the mouth to reduce any swelling and to lessen the pain. Loose braces or broken braces and wires are a dental emergency that requires immediate attention. If you are able to push the wire into a more comfortable position in your mouth, use only the eraser end of a pencil to do so. Cover the sharp portion of the wire with a small amount of orthodontic wax or with a cotton ball to protect the inside of your cheeks and gums. Never cut the wire. 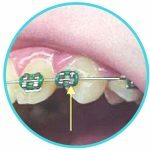 Use orthodontic wax to attach the braces temporarily to the teeth if possible. An emergency tooth extraction is a dental visit that everyone dreads. Because this is a common dental emergency, your Brownsville emergency dentist makes your visit as pleasant as possible. It is important not to delay the visit since the delays can lead to more expensive and painful dental procedures. Your dentist usually begins the procedure by taking an x-ray of the tooth and performing an examination of the tooth. Then, he or she chooses a type of anesthesia that reduces any discomfort that you might feel during the extraction. A special dental tool is used to remove the tooth from the gum, and stitches that dissolve over time are applied to close the gum. A small piece of gauze is placed over the gum to control any bleeding that occurs. Full healing of the gum usually occurs within one to two weeks of the dental extraction. Following your visit with a Brownsville emergency dentist for the tooth extraction, you should follow any instructions given by your dentist. Take any medications as directed and avoid eating hard foods or drinking through a straw for at least the first few days after the procedure. Do not drink alcohol or smoke until the gum is fully healed. A visit to the hospital emergency room is the right choice when you have a dental problem that includes a fall, an accident or even a sports injury. When there could be damage to other parts of your body, you should always head to the nearest hospital emergency room for prompt treatment. This is especially important if your dental emergency includes a head injury like a concussion or a possible broken bone. When your dental emergency includes only a problem with your teeth or gums, your Brownsville emergency dentist is the perfect solution for any pain that you might experience. An emergency dentist has the training and equipment to treat any dental emergency quickly and as painlessly as possible. It is often less expensive and less time consuming to visit a dentist rather than visiting a hospital emergency room that is not properly equipped for tooth repairs and other dental emergencies. Use the American Dental Association’s website to get current updates on your dentist’s licensing and credentialing. This website offers information regarding dental services in the Brownsville area and the state of Texas. 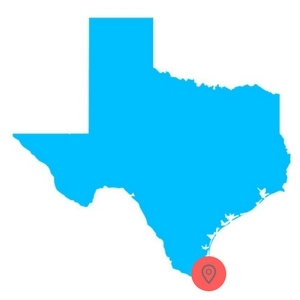 Use the Texas Dental Association’s website to learn more about Texas dentists and their services. The website also offers convenient information regarding tooth care and local events.